Group called Kaduna Progressive People Forum in a statement on Monday called on President Muhammadu Buhari and leadership of ruling All Progressives Congress (APC) to take action over alleged leaked memo credited to Governor Nasir El-Rufai before it is too late for the party in Kaduna State. The Presidency had on Sunday in a statement through Senior Special Adviser to Mr President (Media and Publicity), Shehu Garba, denied giving any directive to the governor to deal with “traitors” in APC. The statement was jointly signed by trio of Dr Abdullahi Usman, Arch Marcel Guntu and Maimuna Ibrahim; the President, Secretary and Public Relations Officer respectively. The statement read in part, “we wish to call on the kaduna state governor, Mallam Nasir El-Rufai to please stop embarrassing our President, Mohammadu Buhari with his frequent name-droppings. “It is on record that Nasir El-Rufai, who hitherto insulted, maligned and called President Buhari an uneluctable candidate has the habit of name-dropping President Buhari with every given opportunity. On numerous occasions, this has backfired and causes a lot of embarrassment to the person of President Mohammadu Buhari. 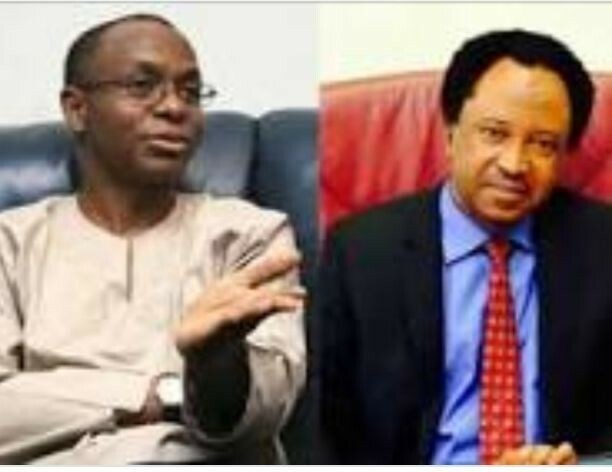 “The most recent issue that comes to mind is El-Rufai’s purported claims in a memo he deliberately and mischievously leaked to the press that, President Buhari once instructed him to deal with Sen. Shehu Sani by initiating moves for the recall of the vibrant Senator. “At this juncture, let us pause and commend the presidency for coming out clean on the most recent episode. Before now, many have innocently fallen for El-Rufai’s name-dropping tricks. But with the recent open denial of involvement by the President, people will now understand and come to terms with the fact that the governor was as usual, up to his deceitful and mischievous acts not minding the negative impact or embarrassments it might cause the president. “We wish to also use this opportunity to alert Mr President that Gov. Nasiru El-Rufai is on the verge of destroying the APC in kaduna state. His quest for power for himself and his cronies at all costs is jeopardizing the chances of APC, and by extension President Mohammadu Buhari in kaduna state which is one of his strong holds. “El-Rufai’s high handedness, autocracy and misrule in kaduna state is making the masses to lose confidence in the APC and therefore seeking solace in other political parties, especially the main opposition party, PDP. “Just recently, his hatchet man and close alley, whom he wanted to be a Senator against the wish of the people committed the dastardly act of taking the party to court without making any efforts to resolve his grouse internally within the party. This same individual is responsible for the lose of many APC stalwarts to other parties and the deep rooted division we have in kaduna state APC.